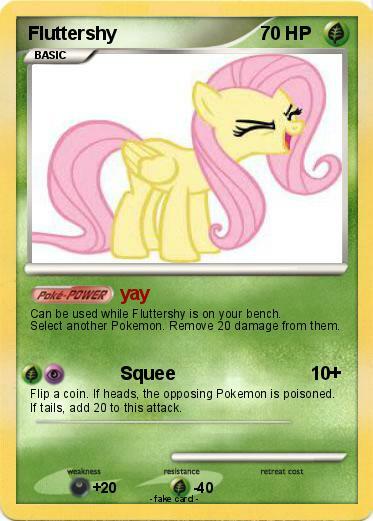 Can be used while Fluttershy is on your bench. Select another Pokemon. Remove 20 damage from them. Flip a coin. If heads, the opposing Pokemon is poisoned. If tails, add 20 to this attack.